This Plumbing Plumbing art lamp named Zongo is a product of Giannis Dendrinos.Giannis is a sculptor and has created a series of amazing desk lamps made of plumbing parts. This lamp make an ideal handmade gift. Choose between simple switch or dimming switch. All parts for this lamp to work are included and connected. Colors, shapes and parts of the desk lamp may vary from the shown pictures in this page. 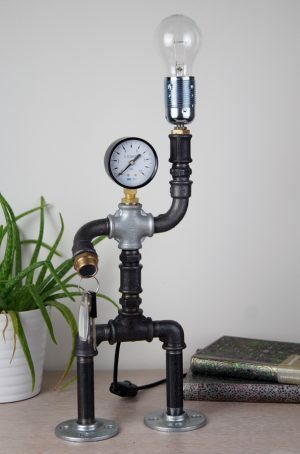 This Steampunk style black iron pipe lamp is designed by visual artist Giannis Dendrinos. 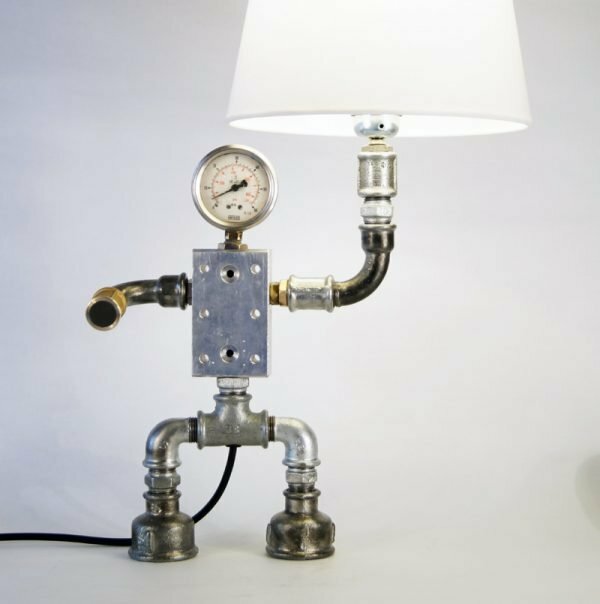 Giannis Dendrinos has created a collection of Steampunk pipe table lamps. This Table Lamp is made of 1/2 inch pipe, varnished black iron pipe. 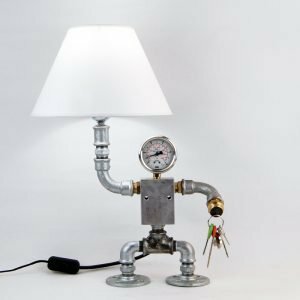 Creative Steampunk Pipe Design Home Table Lamp are original hand-crafted home and restaurant lighting lamps. This modern styled Steampunk pipe lamp is inspired by Giannis Dendrinos and metal sculpture. 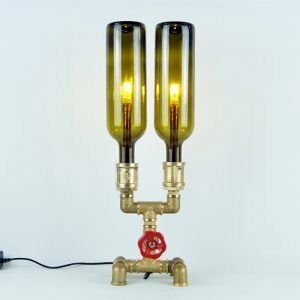 Giannis Dendrinos is a sculptor and has designed a series of Vintage, Industrial & Retro Steampunk pipe lamp collection which is available on this site. View more about these lamps.